Its really irritate to adjust video quality every time you watch youtube videos. Youtube doesn’t have option to set auto video quality. The video quality depends on your internet speed. So here I am going to show you how we can set auto default video quality for YouTube videos. 1. Open google in chrome browser and search for “chrome web store” open first link. 3. 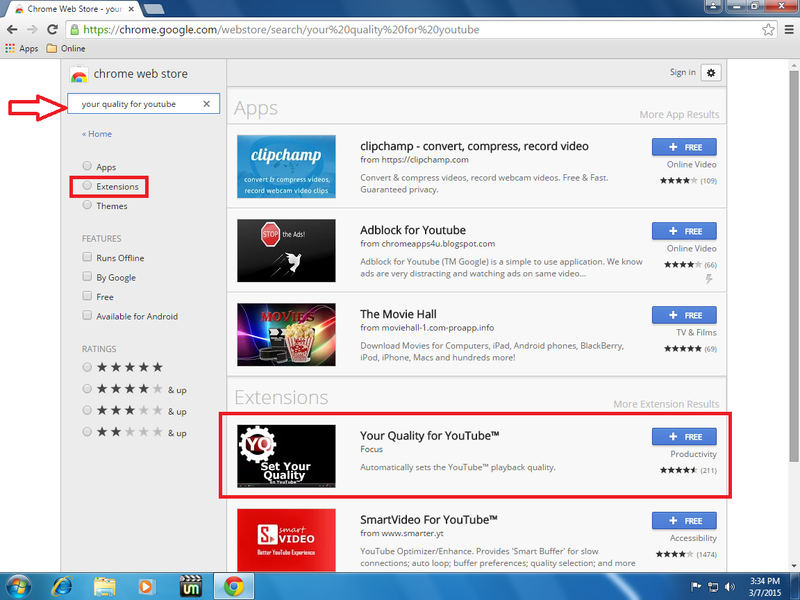 Now click on “your quality for youtube” click on “add to chrome” and click on “add” you can see Icon on toolbar. 4. Click on quality Icon in toolbar and set auto quality for your youtube videos. 5. Now close all browsers and reopen, go to youtube and play video, all video will play in your selected video quality.